(-) Remove Donate Now! filter Donate Now! 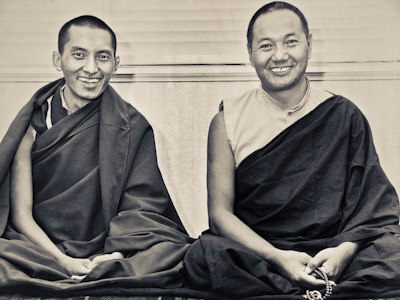 Become a donor and help the Archive continue in our work of preserving, editing and publishing the teachings of Lama Yeshe and Lama Zopa Rinpoche, and other great teachers of our time. The support we receive from you makes it possible to fulfill our mission and enables you to share directly in the work of the Archive. Read about other ways to support the Archive, and for details on how to contribute by check or bank transfer. Donate $50 or more to become a Benefactor. You may choose to receive a print copy of one of our free books, or any of our ebooks, when your donation is processed. Other gifts are offered for donations of $100, $250 and $500; see here for details. Or, you may become a Member with your donation of US$1,000 or more; read more about our membership program here. Make a donation using your credit card or PayPal account. We accept Visa, Mastercard, Discover and American Express. Thank you so much!